Wow! What a week!! 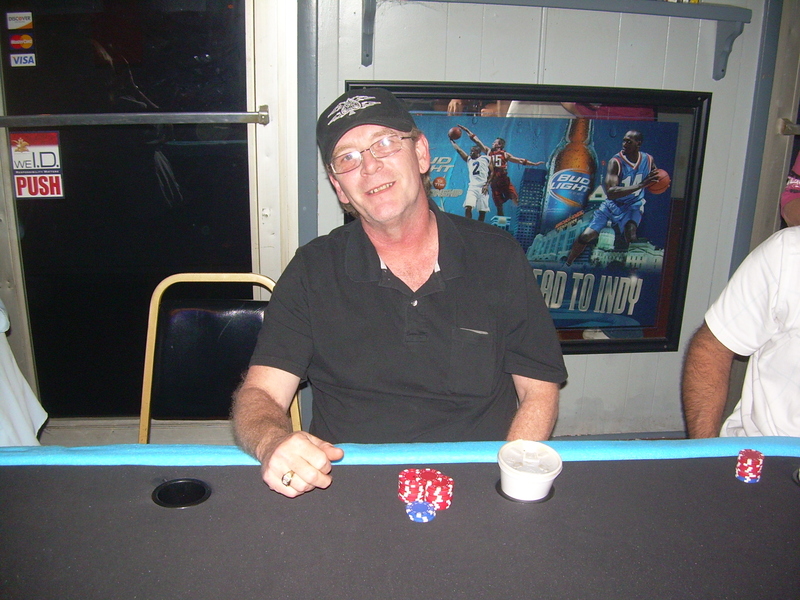 Monday nite was the final points week for the 20 week points tournament. The top 30 players are lined up for the Big Game with $1,000.00 up for grabs!! Next Monday (Sept. 27) night is the Big Game. I would like to take this opportunity to thank Hummer’s Bar & Grill and The River Town Poker Boyz for the opportunity to participate in this event. I came into this game a few weeks after it started but I am sure glad that I did!! You can see the points list and find my standing here. At 5th place I will start the Big Game with $5,500 in starter chips. Note that the higher up in standing, the more starter chips received for the Big Game. This is one of the reasons it has been such a battle for points. All eyes are now on next Monday nite. Good luck to one and all. This last week has been a great ride! Starting with a chopped pot at The Top of the Line Tavern in Bright to back to back wins at Lefty’s Pub in Batesville and finishing with winning 20 points at Hummers Bar & Grill… the freeze is on!! Once again, I invite my readers and online friends to join The River Town Poker Boyz at any of the locations they play. Come on in and holler for Ice – I’m always happy to meet my online friends.